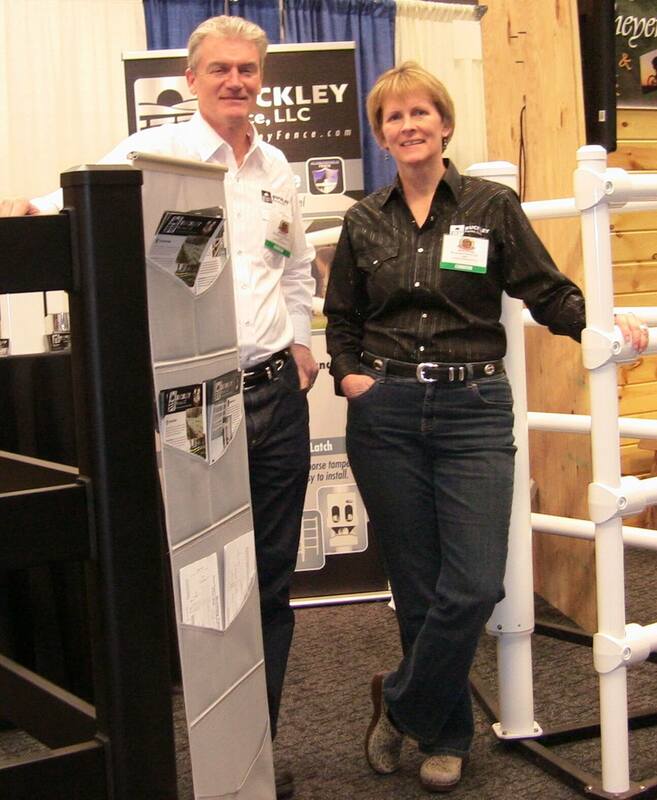 (Milwaukee, WI) - Buckley Fence spent last weekend, April 16-18, exhibiting their product at the Midwest Horse Fair at the Alliant Energy Center in Madison, Wisconsin. The three-day event was themed “Let the Games Begin” in recognition of the 2010 World Equestrian Games. There were presentations by world-class clinicians, rodeo and show jumping entertainment, riding competitions and an exhibit hall with over 500 vendors. 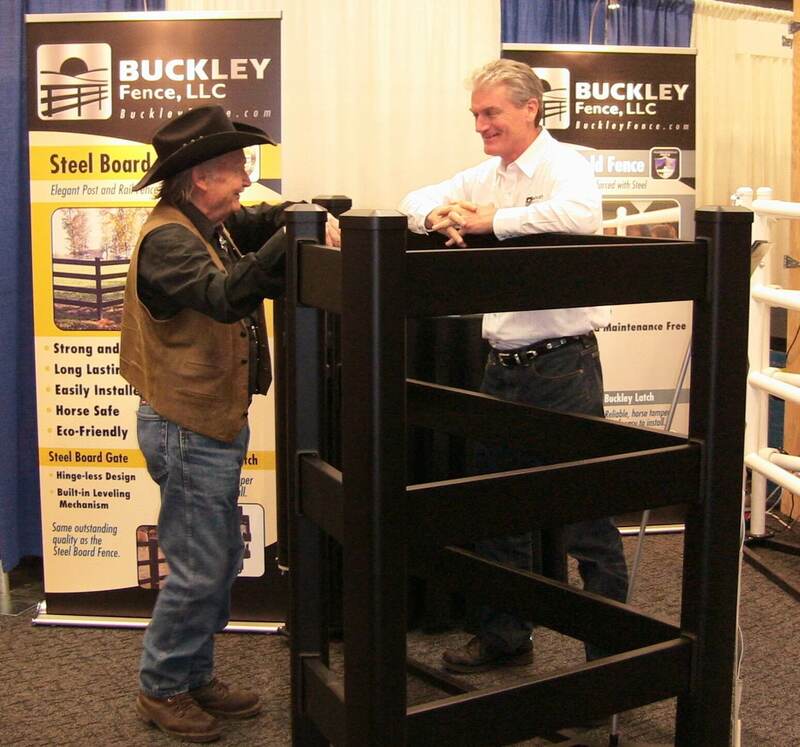 This was Buckley Fence’s first time exhibiting at the fair and the company was very pleased with the level and quality of traffic to their booth. They used the opportunity to meet with fence installers and barn builders to learn more about them and to introduce their fencing products. BUCKLEY FENCE, LLC was established in 2007 to launch the Alumashield Fence system after three years of designing, testing and producing the fence system components. The patented Alumashield Fence design is a post and rail pipe style fence constructed of aluminum alloy tubing reinforced with a high strength steel tube core sealed in at each end. Prior to 2007, Buckley spent several years creating a novel aluminum metal parts forming process that was awarded U.S. and international patents under the company name of Chipless Metals, LLC. During that time, Buckley was given the opportunity to create improved connectors made of aluminum for steel pipe fences to eliminate corrosion and improve durability and the Alumashield Fence evolved from that opportunity.Buckley’s design brilliance and expertise with metals made it only natural to begin designing the first post and rail steel board fence. The Steel Board Fence system was added to the Buckley Fence product line in 2008 to complement the product offering with a more traditionally styled fence. Constructed of galvanized steel powder coated with architectural grade powder coating, its patented design includes steel bar reinforcements in the rails to improve strength and horse safety. Jim Buckley discussing Steel Board Fence with customer. For more information about the Midwest Horse Fair, visit – www.midwesthorsefair.com.